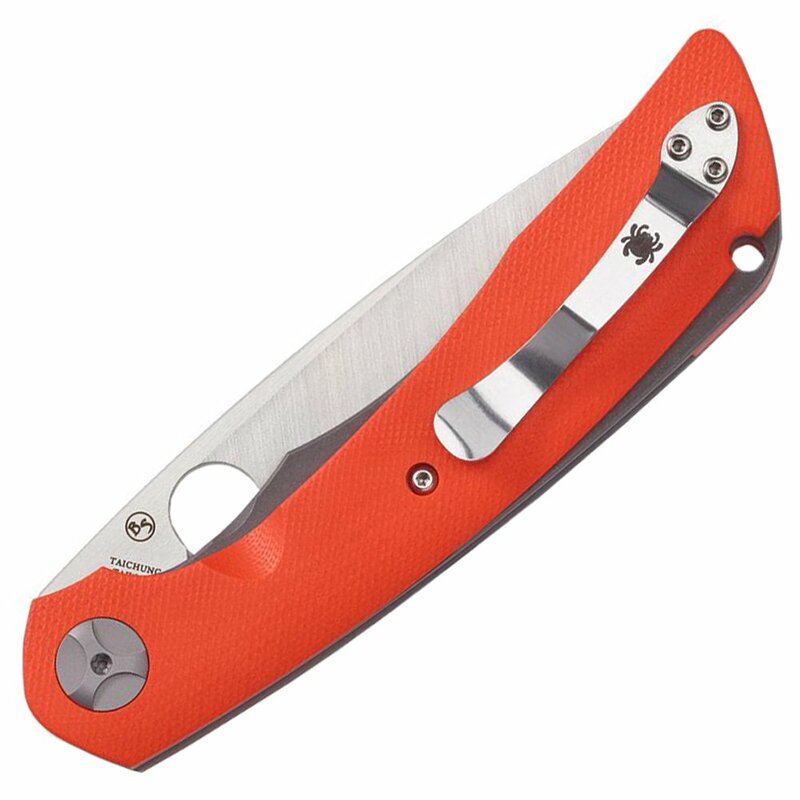 Designed by Israeli goldsmith and custom knifemaker Nati Amor, the Spyderco Subvert faithfully translates all the key qualities of his handcrafted “Sabotage” design into a premium-quality production folder. Its dramatically styled blade is crafted from CPM-S30V particle metallurgy stainless steel and features a broad profile, pronounced belly, and full-flat grind for maximum edge length and extreme cutting performance. 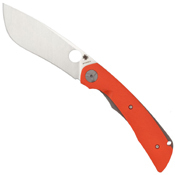 The satin-finished blade also has a fully accessible Trademark Round Hole and rides on twin ball-bearing pivot washers that ensure an ultra-smooth one-hand-opening action. The Subvert’s handle is built on a framework of thick, skeletonized titanium liners that give it outstanding structural strength and form the foundation of its stout LinerLock mechanism. They are capped by contoured orange G-10 scales and joined by a matching G-10 backspacer that provides additional strength while allowing an easy-to-clean open-backed construction style. A portion of the matte-finished liners is also exposed to allow access to a lanyard hole and to complement the aesthetics of machined accents on the knife’s pivot pin. To allow the Subvert to be easily carried and keep it available for immediate access, its handle includes a polished stainless steel pocket clip configured for right-side, tip-up carry.